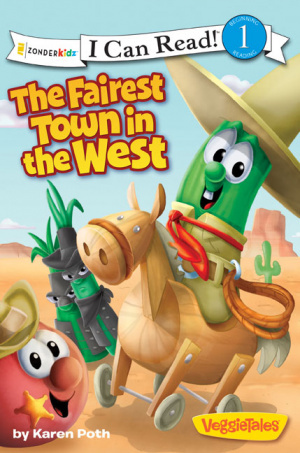 A Veggie Tales adventure for adventurers in reading, The 'I Can Read' series open a world of Christian books for early readers to get started. A Lesson in Manners: Sheriff Bob and Deputy Larry love their job. But what happens when the Ratt Scallions come to town and dont treat the Veggies the way they should? Can Bob and Larry teach them some manners? This series of Veggie Tale Level One I Can Read books at are sure to become favorites of young emergent readers and their parents and teachers. Using the beloved characters of Bob and Larry as well as their other Veggie friends, young readers will learn strong morals and values as well as be charmed by the humor and accessibility of the I Can Read brand. 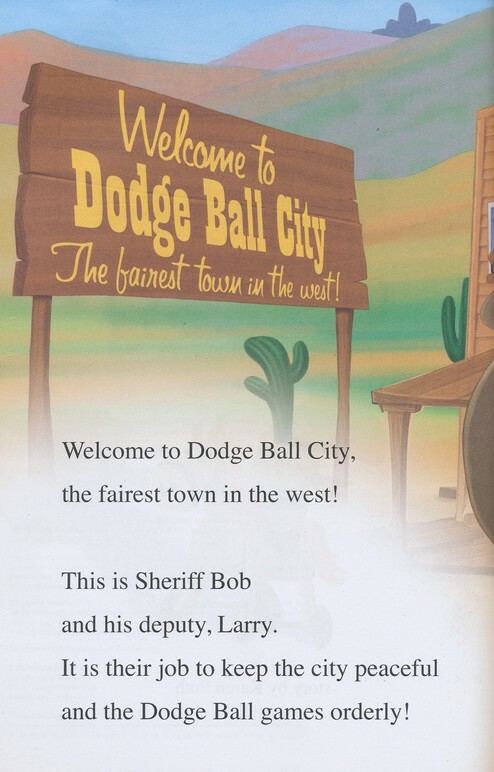 In The Fairest Town in the West Sheriff Bob and Deputy Larry love working in Dodge Ball City because everyone plays fair and has fun. But what happens when the Ratt Scallion Gang shows up? They have bad manners and the other Veggies join in the bad behavior! Can Bob and Larry save the day? The Fairest Town In The West by Karen Poth was published by Zondervan in August 2011 and is our 17712th best seller. The ISBN for The Fairest Town In The West is 9780310727293. Be the first to review The Fairest Town In The West! Got a question? No problem! Just click here to ask us about The Fairest Town In The West.